Touted as the first and largest central business district at the heart of Central Luzon; Pampanga homegrown developer AC Beautiful Island Realty Development Corporation (ACBI) is unveiling its pilot development. The newest retail and commercial hub dubbed as The Shoppes at The Infinity is expected to be the next-go-to leisure destination in the region. “The Shoppes, a sprawling retail strip within the upcoming vibrant fully-integrated city will offer 15,600 square meters of palatable delights, local and global boutique brands and service establishments making it not only a shopper’s paradise but a top-of-mind recreation experience,” said Byron John T. Siy, General Manager of ACBI Realty Development Corporation. 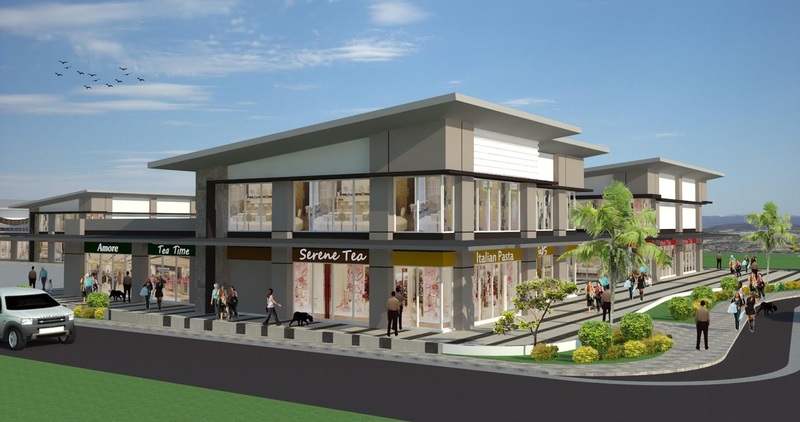 “We envision The Shoppes to complement the trade and investment prowess of The Infinity. As business and leisure are industries that now work side by side, we want to make sure that we are offering a complete and one-stop-shop destination at par with central business districts here and abroad,” added Siy. Inspired by renowned mixed-used developments in the country whose success was driven by its commercial components, The Shoppes is anticipated to fire up the transformation of the area. The retail landscape will highlight a relaxed and nature-inspired atmosphere while satisfying the shopping and dining needs of the region. The recreation zone will start construction as soon as mid of this year and the first phase is projected to be fully operational by the second quarter of 2019. The shopping mecca will follow a modern contemporary design influence with the help of leading style firm LG+V Architects. ACBI, the real estate arm of JENRA Group of Companies is the power behind The Infinity. They conceptualized the commerce district not only to open prospects for Pampanga but to serve as a commerce link of the region to the rest of Luzon. This can be owed to the strategic location of The Infinity at the gateway of Central Luzon and its direct connection to the North Luzon Expressway (NLEX) via the Angeles Exit. The Infinity traverses the cities of Angeles and Mabalacat in Pampanga. Masterplanned by Palafox Associates, The Infinity will be a 40-hectare development that will soon house business, commercial, residential and all other dynamic features that completes a community. Utilities at The Infinity are carefully tucked underground making the road networks functional and aesthetic. Moreover, sustainable features are also in place as the company follows the green building code. In addition, The Infinity offers freehold ownership and long-term lease investment options.